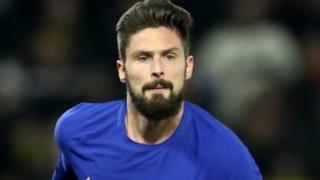 Chelsea striker Olivier Giroud has been banned from driving for six months after admitting to his fourth speeding offence in a year. The 32-year-old World Cup winner was caught driving his Bentley at 60mph (97km/h) in a 50mph (80km/h) zone in Willesden on 2 May 2018. Willesden Magistrates' Court was told that the former Arsenal player pleaded guilty to the offence. The French international had amassed four speeding offences in 2018. As well as the offence in May, the footballer was caught speeding on 18 February, 15 March and 6 November, meaning he already had nine points on his licence. Neither the Chelsea star nor his lawyer was in court.